If you are looking for your next holiday adventure on water, Enchanting Travels has hand-picked a selection of luxury cruises across their destinations. From the Amazon to the Mekong and from Botswana to Kerala’s Backwaters with Patagonia in between, Enchanting Travels offers a host of aquatic adventures for the ultimate wildlife aficionado. The Mekong Delta, known as the Rice Bowl of Vietnam, is a treasure chest of natural beauty with new and rare species being discovered all the time. In 2008 alone the WWF reported 163 new varieties; from fanged frogs to pit vipers and even a Laotian rat believed to be extinct for 11 million years. Mekong also boasts the giant catfish – the world’s largest freshwater fish. This cruise, in a traditional wooden motor boat, takes a close look at daily life and the various agricultural activities along the Mekong River including the Cai Be floating market where locals exchange goods, fruit and many other commodities on their boats. The Mekong Queen is characterized by its high quality workmanship from the bamboo-toile ceiling to the wooden floor built using the finest materials. 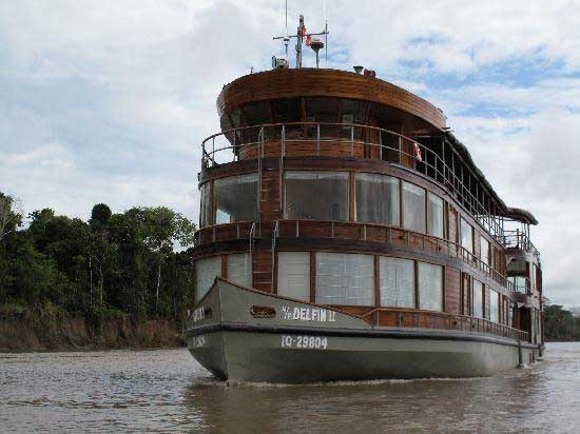 Relax on the Mekong Queen’s sundeck while observing the wildlife and daily life of the Mekong Delta. The jungles of the Amazon are said to be the most biodiverse in the world – and we would agree! It’s estimated that one third of all species are found here: from 3,000 types of freshwater fish, playful monkeys and tropical insects to an amazing array of exotic birdlife – neon parrots and macaws included. What better way to explore the remote areas of Peru than on a luxury cruise in a traditional vessel? Seldom visited by travelers, pass into the Pacaya Samiria National Reserve – the largest protect flooded forest in the world and only accessible by boat. This is an opportunity to encounter iguanas and the three toed sloth resting in the treetops, the endangered pink Amazon dolphins in the river and, if lucky, the black jaguar! As long-legged cormorants fish for their dinner you can also witness – from a safe distance aboard the Delfin I – alligators and the famous boa constrictor. This newly refurbished vessel provides a personalized and luxurious experience featuring whirlpool baths, hot water and air conditioning units. From the top deck relax on the comfortable sofas to view the sights of the Amazon. This is a unique African safari like no other. Embrace the wildlife that visit the river to refresh and cool off as you cruise along the Chobe River on a luxury houseboat. There’s about 120,000 elephants and over 400 species of birds within Chobe National Park, as well as prides of leopard and lion, buffalo, giraffe and if you’re really lucky, the rare puku antelope. Plenty of hippos, crocodiles and birds of prey grace the river. This is also a real fisherman’s treat: enjoy conventional and fly fishing from aboard the boat! Experience the thrill of a unique African safari from the deck of your own private suite aboard a luxury 45-meter vessel. 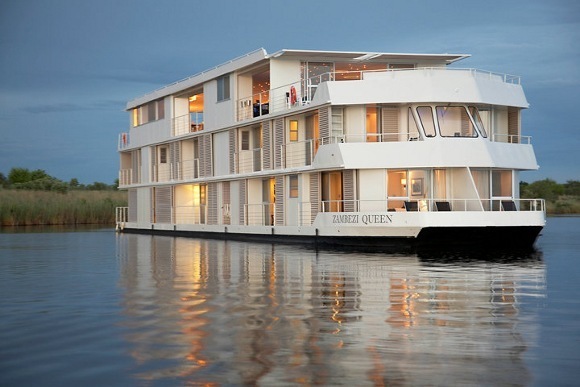 The Zambezi Queen operates in simply stated luxury. Her fourteen suites each have private balconies, whilst the outside areas include a stylish bar stocked with the finest wines and spirits, a top deck with air-conditioning shaded area, sun bathing area and plunge pool. 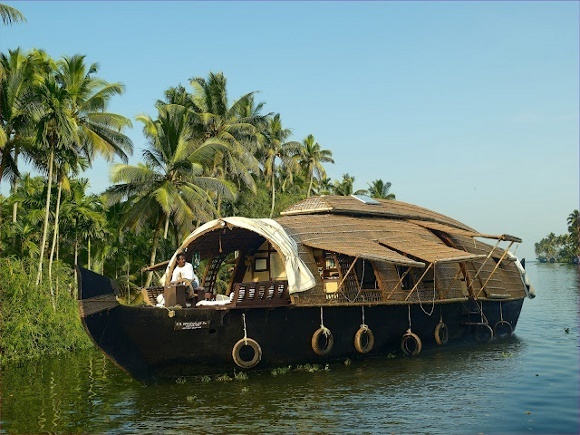 Kerala’s luxury kettuvallams (today known as houseboats) were once traditionally used to transport grain through the labyrinthine canals, rivers and inlets through this fertile land of paddy fields. They now offer luxury overnight cruises to our guests! If the colorful butterflies by day and sparks of fireflies by night are not enough magic in the backwaters, then fear not – we believe this to be a bird lover’s paradise! Floating gracefully through water hyacinth waterways, many terns, egrets, herons, darters, cormorants and kingfishers accentuate the backwaters’ serene elegance. Crow pheasants, waterfowl and paddy birds surround these charmingly timeless tributaries whilst abundant aquatic life adorns the waters – including crabs, frogs and mudskippers. We think there’s nothing as dreamy as gently floating around icebergs, glaciers and heavenly fjords as you travel through the southern hemisphere in luxe comfort on the Stella Australis. The possibilities to encounter incredible marine, coastal and land birdlife on the world’s third largest freshwater reserve are endless, from the Dolphin Gull, South American Tern to the Cormorants and Oystercatchers. The most distinctive and famous vulture, the Andean Condor is also abundant. 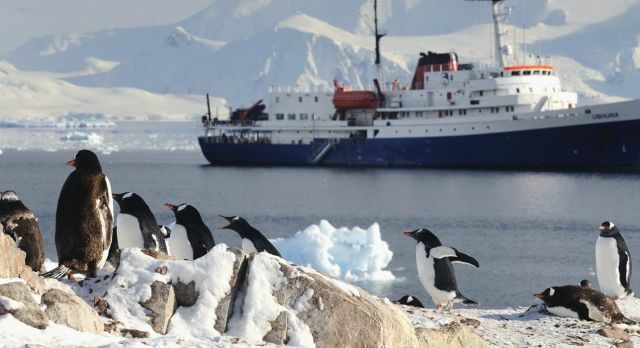 Through the stormy seas of Southern Patagonia – the southernmost part of the Earth – it’s a real treat to observe sea elephants and the penguin colony of Magdalena Island. Travel on-board a luxury liner to discover the hidden treasures of Tierra del Fuego and Patagonia, literally at the end of the world. Thanks very much Dana – we look forward to your next visit! After studying a few of the blog posts on your website now, I truly like your way of blogging. I bookmarked it to my bookmark website list and will be checking back soon. Pls check out my web site as well and let me know what you think.